Cassandra Quave, an ethnobotanist with Emory College’s Center for the Study of Human Health, elicits a handful of nods when she asks whether her students have seen or grabbed a bottle of aloe juice at a high-end grocery checkout. So-called green juices are restorative, according to ads propped up by the bottles. Good for the skin, one student murmurs. But today Quave is talking to her medical botany class about plants used for gastrointestinal needs. She explains that an Egyptian medical papyrus of herbal knowledge, dating to 1550 BC, first identified aloe vera as a treatment that still works today: the stimulant from the family of flowering plants solves constipation by quickly speeding up the colon muscles. From aspirin to the chemotherapy drug Taxol, some of the world’s most common and important medicines come from plants. Quave’s Botanical Medicine and Health course combines botany, chemistry, anthropology and pharmacology to give students the practical ability to sort between what is marketing and what is science when it comes to plant “cures” such as the aloe juice. With a patent on a compound she teased from the roots of an elmleaf blackberry that helps battle antibiotic-resistant staph, Quave is the ideal instructor. She starts with the ancient history and cultural interactions of botanical medicine before zipping through the plants that form the basis of drugs for everything from infectious diseases to cancer and the safety and ethical issues in ongoing research. 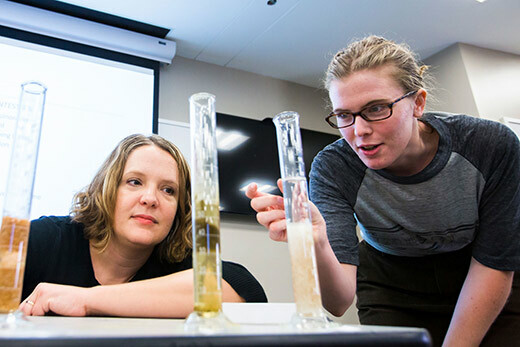 A course that details the plant compounds and the underlying mechanisms of action of botanical drugs is also a prime example of the human health program, a pioneering effort that highlights Emory’s diverse efforts in health education, research and the liberal arts. Senior human health major Stephanie Pintas says the course has reinforced her plans to focus on integrative medicine — with its approach to preventative, holistic care — after medical school. Pintas had her own success in researching apple cider vinegar as a treatment for skin fungal infections. The acidic pH of the vinegar can balance the alkaline pH that comes from such infections, effectively slowing the growth of the fungus. Such knowledge is important not just for would-be physicians but also for anyone who wants to think more deeply about their own health care. As the course’s sole first-year student, Kat Bagger was intrigued by the focus on plants but admits that she expected the rejection of pharmaceuticals that often accompanies alternative medicine. Instead, she grew to respect the intricacies of applying current scientific knowledge to historical herbal traditions. She also developed an understanding of the fine line between toxicity and treatment that comes with many plants and the medicines that rely on them. Digitalis, for instance, comes from the poisonous foxglove plant. But controlled use of the plant’s cardiac glycosides that act on heart muscles helps with congestive heart failure. “I was one of those people who thought natural meant safe, but it’s so much more complex than that,” says Bagger, who is now considering a human health major in addition to a business major.